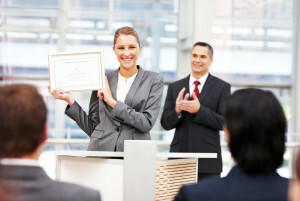 Who Can Earn the Certified Public Speaker Designation? More Speaking Engagements. More Business Opportunities. That is the Power of the Certified Public Speaker Program. The Certified Public Speaker designation is a self-study, online public speaking training and certification program built by professional public speakers and guaranteed to be valuable to you. This program was built by professional speakers, and this training institute is part of a business which offers 7 of our own conferences per year around the world with 25-60 speakers at each event hosted. We know from experience what it is like to be a public speaker and speak for free, to travel the world with your expenses paid to speak, to get paid speaking fees, and to generate over $300,000 for hosting a single event. To earn the Certified Public Speaker designation, you must complete the the Certified Public Speaker program. To learn more about that process, please see our How it Works page. If you have questions you can reach us at our Key Biscayne, FL Office Monday-Friday 9:00 am-5:00 pm EST 305-503-9050 To get started today register here.